Knox House Trust (‘KHT’), a leading Isle of Man based Trust and Corporate Services provider, is delighted to announce that it has been recognised in the 2018 eprivateclient Top Trust Companies survey. The Top Trust Companies list surveys 100 trust companies across the UK and its Crown Dependencies to determine who the leading fiduciary service providers for private clients across the globe are. The survey reviews a number of areas including the size of the business, number of client facing directors, M&A activity along with the extent of the global offering. A champagne reception will be held for the winners in London later this month. 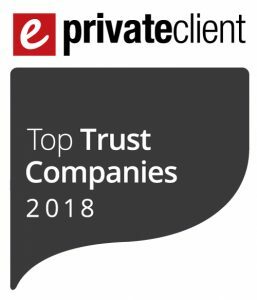 You can view the full details of the 2018 eprivateclient Top Trust Companies list here. Read more about our award-winning services.